Tämän esikatselun koko: 431 × 599 kuvapistettä. Muut resoluutiot: 172 × 240 kuvapistettä | 489 × 680 kuvapistettä. 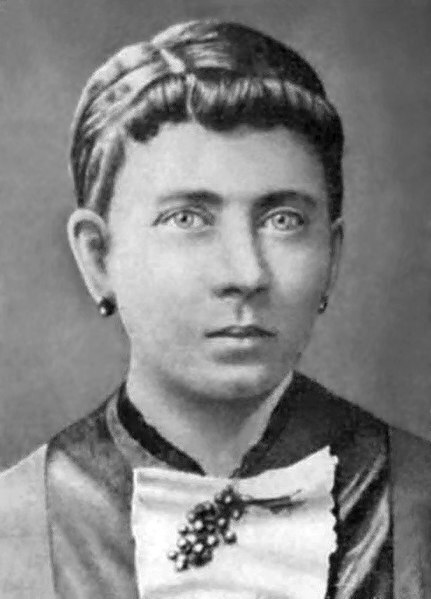 English: Portrait photograph of Klara Hitler née Pölzl (12 August 1860 - 21 December 1907), an Austrian woman, wife of Alois Hitler and mother of Adolf Hitler. It seems like the photo was taken in her childhood meaning circa 1875 - highly likely it is therefore in the public domain. Italiano: Foto raffigurante Klara Hitler, nata Pölzl (12 agosto 1860 - 21 dicembre 1907), donna austriaca, moglie di Alois Hitler e madre di Adolf Hitler. This image has been assessed under the valued image criteria and is considered the most valued image on Commons within the scope: Klara Hitler. You can see its nomination here. 1. marraskuuta 2018 kello 20.00 398 × 585 (83 KiB) Friedolf The Axis History Forum is not a reputable source. Now from Kubizek’s book. 14. toukokuuta 2012 kello 16.42 489 × 680 (91 KiB) Yann Please upload your version as a new file. 13. toukokuuta 2012 kello 17.50 489 × 680 (96 KiB) DIREKTOR For the final time. I did NOT increase exposure, I merely repaired the tone of the image. Do you understand? I removed a grey mist over the image. 12. toukokuuta 2012 kello 14.55 489 × 680 (91 KiB) ANGELUS Reverted to version as of 12:02, 7 May 2012 your version is overexposed! Upload your version separatly! 12. toukokuuta 2012 kello 12.15 489 × 680 (96 KiB) DIREKTOR Rv. Actually, no its not. Its just tone. 7. toukokuuta 2012 kello 15.02 489 × 680 (91 KiB) ANGELUS Reverted to version as of 14:35, 4 April 2012 - your version is overexposed!